Officer of the Year Lloyd Ishikawa and Firefighter of the Year Lance Uchida display their plaques. Ishikawa is a patrol officer in the Puna District who joined the Police Department in 1986. Uchida, a 17-year veteran of the Fire Department, is in charge of Emergency Medical Services. During a ceremony at the Hilo Yacht Club, each man received a plaque from the Aloha Exchange Club, a proclamation from the mayor’s office and a gift basket of donated items. On July 29, 2010, Officer Ishikawa responded to the Hawaiian Paradise Park subdivision to assist in locating a wanted person. He located the person and assisted in arresting him for two outstanding bench warrants. While in the subdivision, he investigated complaints about suspicious persons in the neighborhood and located three adults and a juvenile. Two of the adults were wanted for outstanding bench warrants and felony auto theft all-points bulletins and the juvenile was a reported runaway. The third adult was in possession of a stolen vehicle. “This is a tremendous feat of police work by Puna’s most senior officer, who not only leads by example in his dedication to duty, but with the vigor and enthusiasm of a rookie,” Canda wrote in his nomination papers. Uchida was recognized for his oversight of the Fire Department’s Emergency Medical Services Bureau. In a write-up about his accomplishments, Fire Chief Darryl Oliveira said Uchida was promoted to Battalion Chief of the EMS Bureau on December 1, 2010. In addition to overseeing Emergency Medical Services, Uchida also provides CPR, AED and first aid training to the community, mentors high school students and is active in community service. During the awards ceremony, Oliveira described Uchida as a “go-to person” and a role model to other firefighters. “Thank you for being there for the community in everything that you do,” he said. The “Officer of the Year” and “Fire Fighter of the Year” awards are projects of the Aloha Exchange Club of East Hawai’i. Is Former UH Volleyball Player Victoria Prince Pregnant with K-Feds Baby… Who Cares! Rumors are flying all over the web right now that former UH Volleyball player Victoria Prince is pregnant with Britney Spears ex-husband Kevin Federline’s baby. I first mentioned that they were dating back on my blog back in 2009 with this post Former UH Volleyball Player Victoria Prince Dating K-Fed (Britney’s Ex) and now a whole slew of folks around the world are trying to figure out what the deal is. I’m just amazed that people even care about Kevin Federline in the first place… and what is Victoria Prince thinking? ACTION: Notice of public meeting, request for comments, and availability of preliminary alternatives. SUMMARY: This notice announces the availability of preliminary air tour alternatives and announces meetings hosted by the National Park Service, Hawaii Volcanoes National Park and the FAA’s Air Tour Management Program. The purpose of the meetings is to introduce proposed alternatives to the public which contain routes and altitudes used by air tour operators when providing air tours of the Hawaii Volcanoes National Park. The meetings provide an opportunity for the public to review and comment onalternatives. DATES: Comment Period:Comments must be received on or before June 6, 2011. Volcano, Hawaii Monday, April 18, 2011, 5:30-7:30 p.m. Hawaii Volcanoes National Park, Klauea Visitor Center, 1 Crater Rim Drive, Pahoa, Hawaii. Tuesday, April 19, 2011, 5-7 p.m. Pahoa Community Center, 15-2910 Puna Rd. Wednesday, April 20, 2011, 5-7 p.m. Na’alehu Community Center, 95-5635 Mamalahoa Highway. The 9th Annual Luck of the Irish Golf Tournament was March 14 at the Jack Nicklaus designed golf course at Hokuli’a Hawaii Island to benefit the United Way. Ken Schork, President of El Monte RV hit a hole in one on # 13 and won a Chevrolet, courtesy of Deluz Chevrolet. Schork made the hole in one with a driver on a 205 yard par 3 hole. It was the first time in tournament history and his second hole played of the day. According to Carlos Concha of Hole In One International, the average golf tournament has between 72 and 80 golfers. Hole in One international insures about 15,000 holes per year and sees less than 50 hole in ones with a prize greater than $25,000. The tournament benefits the United Way and is sponsored by several local business in Hawaii including: Title Sponsor Hokuli’a Development, Corporate Sponsor Oceanic Time Warner Cable and other local business partners. The U.S. Supreme Court is hearing oral arguments today for a case that challenges one piece of Arizona’s Clean Elections law, which was enacted by voters through a ballot referendum 13 years ago. This is significant for Hawaii because our pilot public funding law on the Big Island is modeled after Arizona’s. In anticipation of a negative ruling by the Supreme Court, Fair Elections advocates submitted legislation that would adjust the specific piece of the program that would be affected by the court case. “Even though the Supreme Court upheld the idea of public funding for elections in the 1976, we’ve seen a new trend with the current makeup of the Supreme Court,” said Kory Payne, executive director for Voter Owned Hawaii. “In the expectation of a negative ruling from the Supreme Court, we submitted legislation this year that would have adjusted Hawaii’s law preemptively. That law was killed by Representative Keith-Agaran in the House Judiciary Committee,” he said. John McComish, an Arizona Republican running for state office, originally filed the complaint against their Clean Elections program. McComish was running against a publicly funded competitor. Like Hawaii’s law, publicly funded candidates can receive limited amounts of matching funds when their privately funded opponents outspend them. Proponents of Hawaii’s pilot Fair Elections pilot program say this is a good thing. “We don’t let people pay judges when they’re interpreting laws, so why would we want private money to determine what laws are made in the first place?” said Payne. Since the addition of Justice John Roberts during the Bush administration, the U.S. Supreme Court has demonstrated a willingness to step in on campaign finance issues. Last year, they made a controversial ruling on the case Citizens United v FEC. After McComish lost his case in a lower court, the Supreme Court stepped in and blocked enforcement of Arizona’s provision last June and decided to hear the case. This, say advocates of Fair Elections laws, is alarming. In 1978 Hawaii created its original public funding program during the Constitutional Convention. The Campaign Spending Commission and the Hawaii Election Campaign Fund were established then, and voters were able to try to qualify to receive public funds. Advocates lobbied for a modernization to this program in the form of the Big Island pilot. “Hawaii was ahead of our time when we created the public funding option in 1978, but since then the program has become ineffective and outdated,” said Payne. “The Big Island pilot program is an exciting new way to resurrect our effort to limit the corrupting influence of money in politics,” he added. Detectives from the Area I Criminal Investigation Section have taken into custody a 19-year-old man in connection with an assault with a sledge hammer that occurred at a residence in Panaewa on March 25, 2011. On Friday at about 4:00 pm, South Hilo patrol officers responded to a report of an unconscious male at a residence on Auwae Road in Hilo. Responding officers and Fire Department personnel discovered a 55-year-old man with a severe head injury. The victim was transported to the Hilo Medical Center by medics and was initially listed in serious condition. He was transferred to Queen’s Medial Center on Oahu via air ambulance and has since been upgraded to stable condition following surgery. Police arrested Tevita Moala at the scene for an unrelated warrant and he was being held in the East Hawaii Detention Center while detectives conducted further investigation into this incident, which has been classified as a first degree assault. After conferring with Big Island prosecutors, detectives charged Moala for first degree assault and his bail is set at $25,000.00. He is being held in the police cellblock pending his initial court appearance on Monday. As partisan bickering and posturing continues on Capitol Hill, the failure to pass overdue legislation that provides multi-year federal aid to state highway and transit programs jeopardizes 12,690 jobs in Hawaii, according to new research. These employees earn a total annual payroll of $673.1 million and contribute an estimated $53.3 million in state and federal payroll tax revenue. This employment includes the equivalent of 6,322 full-time jobs directly involved in transportation construction and related activities, and 6,368 that are sustained by transportation design and construction industry employee and company spending throughout the state’s economy, according to the analysis of U.S. Census Bureau data by the American Road & Transportation Builders Association Transportation Development Foundation (ARTBA-TDF). The ARTBA-TDF report, “U.S. Transportation Construction Industry Profile,” revealed the existence of more than 385,103 full-time jobs in Hawaii in key industries like tourism, retail sales, agriculture and manufacturing that are dependent on the state’s transportation network. The need for road and bridge improvements is clear. According to the Federal Highway Administration (FHWA), Hawaii has 4,365 miles of roadway. Of the state’s 1,554 miles of roadway eligible for federal aid, 44.5% are rated “not acceptable” and need major repairs or replacement. This compares to 43% of roads in 2007. Hawaii also has 1,133 bridges. FHWA reports 43.2% of the state’s bridges are either “structurally deficient” (143 bridges) or “functionally obsolete” (347 bridges). It will cost an estimated $1.2 billion to make needed bridge repairs on 775 structures in the state. 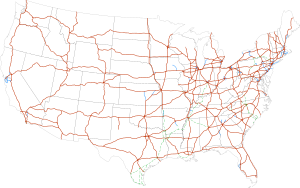 The last highway and transit law expired in October 2009. Federal aid to the states has been sustained ever since through a series of short-term extensions. The uncertainty of future funding levels is causing state transportation departments to slow down or delay projects, and in turn, impacting hiring decisions and equipment purchases by transportation design and construction firms. The ARTBA-TDF is a 501(c)3 tax-exempt entity created to “promote research, education and public awareness.” It supports an array of initiatives, such as scholarships, awards, safety training and economic reports. An interactive website—www.transportationconstructionjobs.org—has comprehensive data about the impacts of transportation investment on the national and all 50 state economies. Only 4% of the oil we use here in Hawaii come from the US. 96% comes from where ever the companies that sell here can find it, but not from the US. Vietnam, China, Africa, the Middle East. Those kind of countries is where we get our oil from.